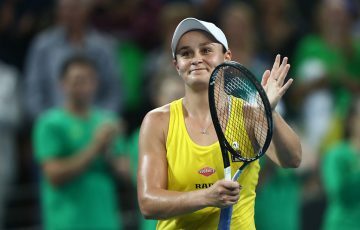 In a nail-biting match, Australians Ash Barty and Casey Dellacqua were narrowly pipped by Kiki Bertens and Johanna Larsson, and as a result have exited the WTA Finals. 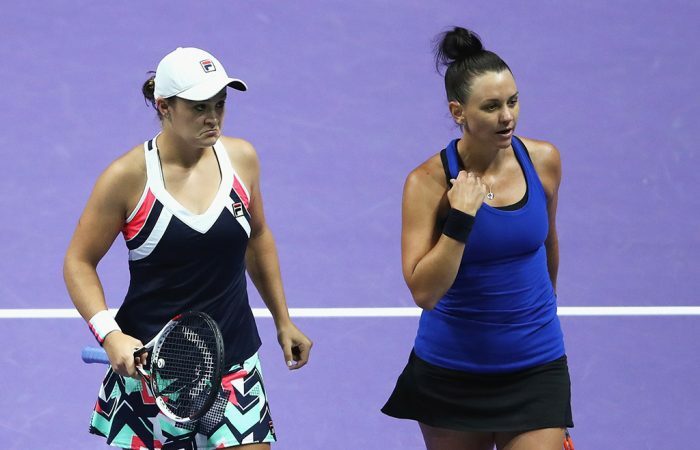 Ash Barty and Casey Dellacqua have suffered a shock loss in the first round of the WTA Finals in Singapore, going down to Kiki Bertens of the Netherlands and Sweden’s Johanna Larsson. In a thrilling encounter, Bertens and Larsson won 7-6(7) 6-7(1) [10-6] on Friday in one hour and 54 minutes, despite Barty and Dellacqua winning more points during the match. 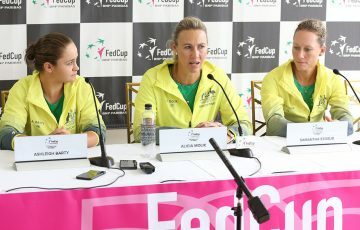 The Australian fourth seeds dominated parts of the contest but their opponents held on for a tenacious victory. Dellacqua said the duo had their chances but couldn’t quite put Bertens and Larsson away. “We won six more points throughout the whole match,” she said. Barty said she couldn’t find serious fault with their performance. They were just beaten by a better team on the day. “I didn’t feel like we did a hell of a lot wrong. The girls came up with some quality when they needed it,” she said. Barty and Dellacqua led 5-3, but Bertens and Larsson hung in to take back the lead and won the opening set in 51 minutes. 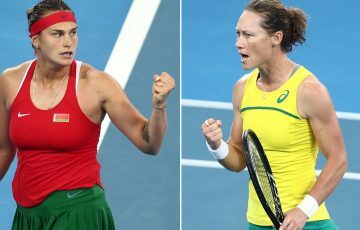 The Australians missed a chance to close the second set out on serve, inviting Larsson and Bertens back into the contest again. They blew a match point opportunity at 6-5, allowing Barty and Dellacqua to force another tiebreaker, which they won easily. There are no third sets in doubles at the WTA Finals, with teams instead playing a super tiebreak when scores are locked at one set all. Bertens and Larsson won that 10-6, and will meet the winner of the later doubles match between Russian duo Ekaterina Makarova and Elena Vesnina and Gabriela Dabrowski of Canada and Yifan Xu from China.